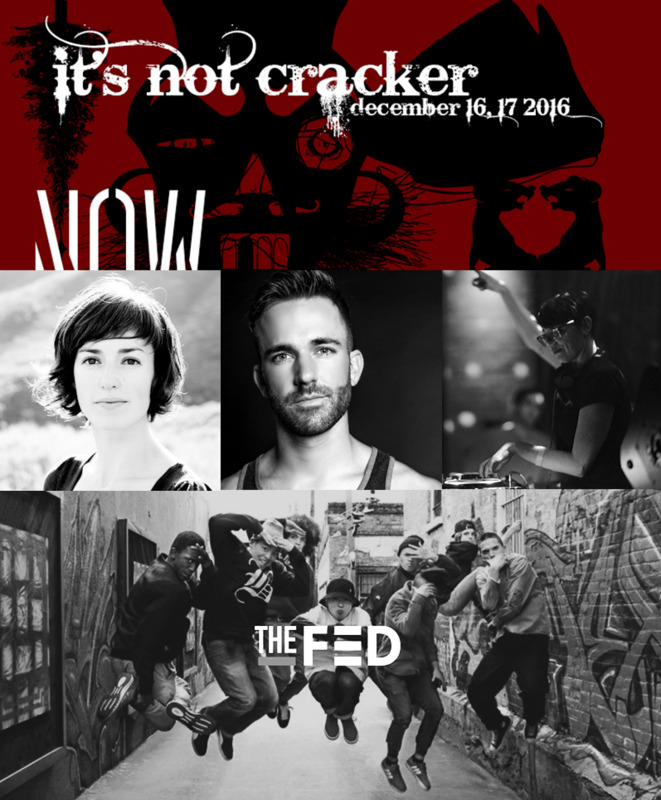 Join NOW-ID's holiday party/performance, in partnership with Artemis, the BBoy Federation and the Utah Museum of Contemporary Art. A twist on E.T.A. Hoffmann’s 1816 holiday horror fantasy, It’s Not Cracker will be equal parts party and performance. The Tchaikovsky suite will be extended, mixed and added to by DJ Artemis, paired with dancers Brad Beakes, Tara McArthur and a B-Boy Federation corps. Do join us on December 16/17downstairs in Utah Museum of Contemporary Art’s main gallery (amid the works of OBJECT(ED), in its final days) for gløggand choreography by Charlotte Boye-Christensen and more. Check our website for more information and tickets. And More... Charlotte has returned from several residencies this fall - at the Royal Danish Ballet School, Brenau University in Georgia and Wichita State University in Kansas - and put together the latest Ne Plus Ultra interview, with mezzo-sopranoNana Bugge Rasmussen, performer from this summer's show Exodus - see excerpts here. KATE! We are excited to welcome Kate Crews-Linsley to the NOW-ID Board. Kate was a soloist with Ballet West for ten seasons and is currently the Dance Department Chair at the Waterford School. Kate has performed in three NOW-ID productions, including the video work Without Walls cold-created at Summit in January 2016, and we are truly thrilled to have her with us. LECTURE! Lastly, NOW-ID directors Nathan Webster and Charlotte Boye-Christensen will be presenting a lecture on November 28th at 6PM at the University of Utah's College of Architecture and Planning. We will discuss NOW-ID's collaborative art, design and performance works, past and future, and follow with a panel discussion and Q + A with faculty from the Architecture, Design, Fine Arts and Dance departments. Contact us for information on how to attend! tax‐deductible to the extent permitted by law. Thank you so much for your support of NOW-ID! Copyright © 2016 NOW ID, All rights reserved.